This entry was posted on 12/31/2018 03:30:00 AM and is filed under CONSERVATIVE , Dr. Thomas Sowell , EDUCATION , LIBERALS ARE BRINGING US DOWN , TAXES , WELFARE . You can follow any responses to this entry through the RSS 2.0 feed. You can leave a response, or trackback from your own site. "Good thinking to start the day"
Really? 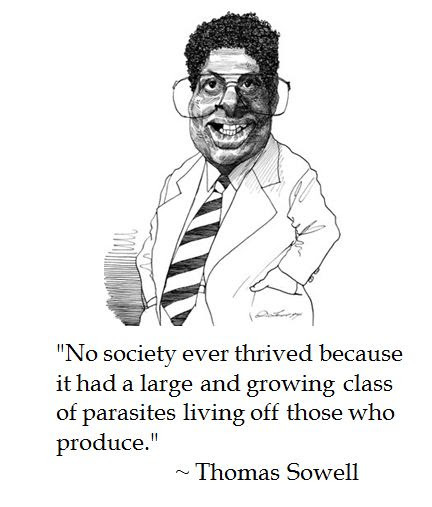 The quote about entitlements makes it clear that Thomas Sowell doesn't know what entitlements are. They're not handouts. They're government benefits which you have paid for.